Having sufficient income that you cannot outlive is the No. 1 retirement concern. The solution to that problem incorporates a number of income strategies, all dependent on a person's risk style. 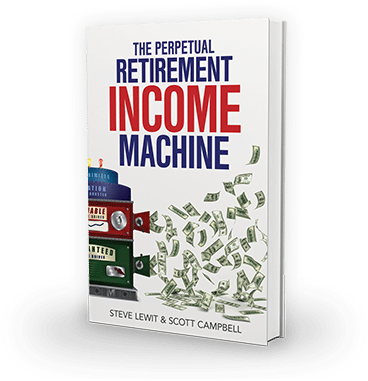 Learn how you can build your own Perpetual Retirement Income Machine. Order your copy now! "I drag people kicking and screaming into a successful retirement"
We know retirement planning can be tricky. The rules and laws change all the time. That’s why we created the Retirement Report Card, a personalized and systematic approach to help you understand your retirement goals and work toward them with confidence. We use the kit to analyze the five key areas of your financial life — income planning, investment planning, tax planning, health care planning and legacy planning. Then we help you address any areas of deficiency. Our experienced professionals are not just knowledgeable about finances, we also understand the importance of priorities, family and a financial future that works for you. At Austin First Financial, Inc., helping you meet your financial needs is our first priority. It’s our responsibility to evaluate and assess your financial situation and only make recommendations that are in your best interest, and we do so with integrity and transparency. Our typical client is age 50+, with assets of at least $250,000 and an interest in answers based on academic research. What’s more, the people we see are looking for a comprehensive approach to finances and want their spouse to be part of the process. If that sounds like you, let’s work together to create a retirement roadmap that addresses the issues most important to you. As we like to say, you’re going through retirement for the first time — but we do this work every day! Call us today at 512.638.9499 or email ScottC@AustinFirstFinancial.com to schedule a time to discuss your financial situation and the potential role of insurance or investments in your financial strategy.